Steven Gene Childs, 68, of Sterling, passed away December 6, 2017, at Hospice House of Hutchinson. He was born April 17, 1949, in Stafford, KS, the son of Donald and Marletta Welty Childs. He graduated from Sterling High School with the class of 1967. Steven was a lifelong Sterling resident. 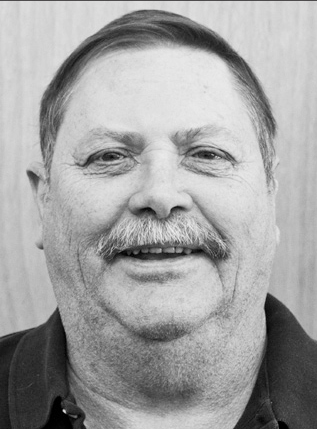 He was an HVAC technician for USD 308 from 1997-2008. Steven was a member of the United Presbyterian Church, Sterling and was commander of the Sterling American Legion for four years. He served in the United States Navy as a fireman from 1969 to 1971. On June 30, 1973, Steven was united in marriage with Wanda Harmon in Haviland, KS. She survives of the home. Other survivors include his daughter, Christi and Josh Gilmore of Sterling; son, Andrew Childs of Sterling; sister, Cynthia Fisher of Sterling; brother, Stan and Seline Childs of Bel Air, MD; six grandchildren, Lindsay Gilmore, Jadden Childs, Lucas Gilmore, Bryant Childs, Desmond Childs, and Christopher Childs; and several nieces and nephews. He was preceded in death by his parents. Funeral services will be 2:00 P.M., Monday, December 11, 2017, at the United Methodist Church, Sterling with Rev. Jeff Miller officiating. Burial will be at the Sterling Community Cemetery with military honors by the United States Navy Honor Guard. Visitation will be from 2:00 to 7:00 P.M., Sunday, December 10, 2017 at Birzer Funeral Home, Sterling with family present from 5:00 to 7:00 P.M. Memorials can be made to the American Diabetes Association, Hospice House of Hutchinson, or Sterling Food Bank in care of Birzer Funeral Home, Sterling.